This post does not make you hacker overnight, or by this you cannot hack a website, this is not a shortcut to become a security tester. This article is purely for helping individuals in building secured applications. If you are from infosec, you might be tired of listening to people asking, is application good to go live, can I push my code to production? Below are some of the easy steps for developers for developing a secured application and this would reduce efforts and time of security team on vulnerability assessment and penetration testing. 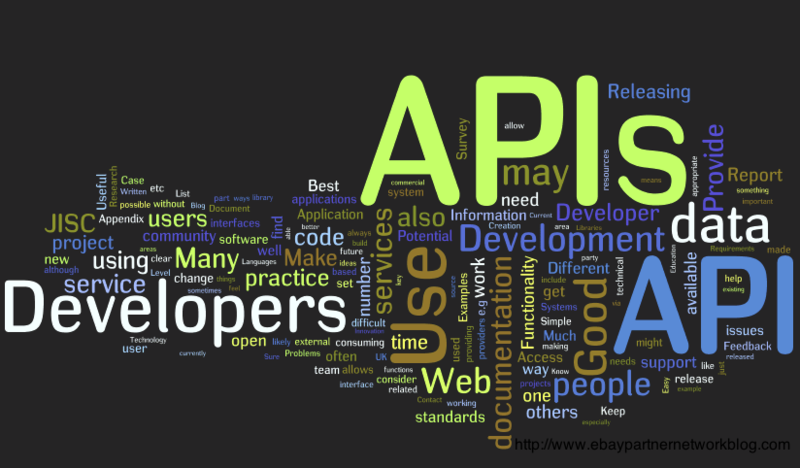 It is always advised to have a proper code with certain validation and verification. a) Don’t hardcode credentials: Credentials should not be saved within the application. To some extent it might be useful during development stage but strongly advised not to be saved within the application code. b) Store Database Credentials Securely: The credentials must be stored in a centralized location as a separate database for which authentication is required. c) Error handling on invalid credentials: Error Messages on invalid credentials for authentication must be clear and must not reveal any sensitive data against username enumeration or other available fields. e) Browser memory: Credentials should not be retained in browser memory after logout. The credentials should be encrypted with base64 or any secured hashing mechanism. a) Access control checks: Make sure that there is a separate mediatory between different privileges with a principle of common security assistance on the application. b) Least Privileges: Users of an application should not provide root access instead minimal privileges could be given. If not explicitly allowed then access should be denied. c) Don’t use direct object references: Do not allow direct referencing to any files or parameters that can be manipulated to grant access to the resources. Privileged access should be assigned based on individual user identity. d) Validated redirects: An attacker can get access to private content without authentication, if redirection are not validated properly. a) Output Encoding: All output operations must contextually encode data before displaying it on browser. b) Set Encoding in the Application: For every page in your application set the encoding using HTTP headers or meta tags within HTML. This ensures that the encoding of the page is always defined and that browser will not have to determine the encoding on its own. c) Prefer White-lists Over Blacklists: All the input fields should have input validation. White listing input is the preferred approach. Data that meets a certain criteria must be accepted. d) Tokens against Forged Requests: Applications must embed random token that is not known to third parties into the HTML form for preventing CSRF (Cross-Site Request Forgery) attacks. This CSRF protection token must be unique to each request. This prevents a forged CSRF request from being submitted because the attacker does not know the value of this random token. e) File Uploads: While accepting files from the user make sure to validate the size of the file, the file type, the file-name, the file contents and where is it going to save as well as ensuring that it is not possible to override the destination path for the file. f) Parameterized SQL Queries: SQL queries should not be created dynamically using string concatenation. Similarly, the SQL query string used in a bound or parameterized query should never be dynamically built from user input. g) Terminate/abort invalid inputs: This is a safety and final strategy on unaccepted characters that occur as input, but if implemented poorly it might lead to Denial Of Service attack in which attacker can flood the system with unexpected inputs, forcing the system to expend scarce processing and communication resources on rejecting it. a) Session fixation: Session tokens must be changed during login and must have different tokens for logged in and logged out states. b) Session variables invalidation: Session variables should be invalidated in the server after logout or session timeout after a certain period of idle session. c) Unique session variables: Session variables must be unique and should not be reused for different accounts. d) Strong session variables: Session variables should be random and must be of certain length which is not easily guessable by the attacker. e) Secure cookie variables: Usage of secure cookie attributes i.e., Httponly and Secure Flags. The cookies should be set to exact domain and path and the cookies should not be shared with other sub domains. a) SSL: Clear text protocols such as HTTP is always prone to MITM (Man In The Middle) as an attacker can intercept requests in the network level hence SSL is recommended during authentication and post login pages. d) SSL Certificates: SSL certificates used must be from a reputed CA signed with secure exchange keys and ciphers. a) Maintain logs on all privileges: This includes all authentication activities, all privilege changes, administrative activities, access to sensitive data. b) Secure your logs: Logs are to be saved carefully and maintained on a secure server against tampering to avoid from loss and logs should be maintained for a specific duration according to industry policies. c) Improper logs: Maintaining appropriate logs and storing them are the important part of logging management. Sensitive information should not be part of logs and the entire log needs to be encrypted in certain situations. a) Once reset password link is used, link should be expired for the next use. b) Till the user resets password, the previous password should not be disabled. c) Even if the link is unused the reset password link needs to be expired within a defined time say 48 or 72 hours. e) Old/previous password reset link should be expired once new password link is generated. f) Token used in reset password link should be mapped to the users email ID and should not be used to reset password of another user. g) Token should not be sequential or easily guessable or a short one. It should be minimum of 16 characters so that it is not easily brute forced. h) Password policy should be maintained on reset password page. a) Generic error messages: Display generic error messages to the user, error messages should not reveal details about the application like technology used, internal IP or path, and stack-overflow errors. b) Framework related errors: All framework generated errors must be generic or messages can be customized so that sensitive information about the framework is not revealed. c) Unhandled exceptions: Exceptions are strictly advised to handle errors either at client or server side. It is good to have ‘finally’ code block for all unhandled errors with generic error message. Most of the applications having user interaction needs to be more secured and hence securing the application for attacks on stealing users credentials is important. Recent survey says that most of the applications are vulnerable at the user level. For example, its observed that Forget Password feature had most attacks in recent days. Forget password feature needs to be implemented in such a way that it covers all the possibilities of any attack vector. On a recent case study about a leading security firm says that there was an attack on an social media application because of flaw in the forgot password feature. Hence I would like to come up with guidelines for implementing forgot password feature which ensures the application is more secured. Initial step during forgot password could be gathering the identity of the user by asking various questions which would in turn proves the identity of the account like, what was the last reset password user remember? Last time user accessed his account? or any other similar questions which reveal the identity of the user. The next step could be Security Question! Security questions should not be the same old traditional way asking about mother’s maiden name/place of birth/ favorite teacher or any such questions which are easily crackable and letting the attacker to easily compromise the account. Instead if the application allows user to set his own set of questions) which could infinite set for an attacker to guess the answer. One more important thing to remember here is that the input field for accepting the answer for the security question should be of type “password” this would protect from shoulder surfing, most of the applications does not do so, which is of more important. Number of attempts user can try answering the security question should also be limited or CAPTCHA needs to implement to prevent brute force attacks. Once the user provides the correct answer the password can be resetted in 2 ways. One of the wage methods on forgot password feature followed by some developers is directly sending the password which was set by the user during registration. This happens only when the password is saved in clear text. Good practice in storing the password is to be hashed+salted before storing it. Once reset password link is used, link should be expired for the next use. Till the user resets password, the previous password should not be disabled. Even if the link is unused the reset password link needs to be expired within a defined time say 48 or 72 hours. Old/previous password reset link should be expired once new password link is generated. Token used in reset password link should be mapped to the users email ID and should not be used to reset password of another user. Token should not be sequential or easily guessable or a short one. It should be minimum of 16 characters so that it is not easily brute forced. Password policy should be maintained on reset password page. Application should force the user to change the password on the first login. If not used the previous password should not be disabled. 302 redirection after successfully resetting the password. Validity for the temporary password could be not more than 4-5 hours. Password should not be the same as old password. Sending reset password link with a token associated to it is the best and economical way of implementing forgot password feature, it avoids usage of CAPTCHA and increased accessibility. Information Gathering/Footprinting is crucial in the whole process of penetration testing.More the information gathered about the target(application/user), more is the probability that appropriate results are obtained. Many tools are available for footprinting which I will be sharing in this post. Information gathering is not just one phase in security testing! Its an art where each one of us should be a master shifu at gathering relevant info for a better experience in the whole process of Penetration testing. This post would give you a glimpse of footprinting like, what is footprinting? Purpose of footprinting? What does an attacker gain from footprinting? The various information that can be gathered and how could that be useful in attacking/securing an application or a website. Ok let me give you a generic example, If a theif wants to rob a bank how does he plan his moves? Will he directly go to the bank and rob without a plan or will he plan by collating all the information required to execute the plan successfully? The theif would plan by collecting the information from different sources like security loopholes and other required information. Once he plans his moves he would be ready to execute his plan and would go ahead with robbing the bank. Without this information it would be very difficult for a robber to successfully rob a bank. Cautionary note: This is only an example. Please use the information wisely and for the purpose of learning only. 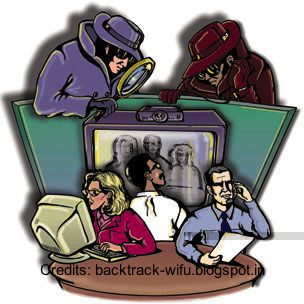 Reconnaissance is one such way of collecting the information about an organization/application. The basic reason behind Information gathering here in security context is to learn about the architecture, infrastructure, design, security loop holes of an organization or any application.. I would be explaining about different ways of gathering information in both the ways using different variety of tools and techniques. 1. Whois is a widely used Internet record listing that identifies who owns a domain or who has registered that particular domain and how to contact them. The Internet Corporation for Assigned Names and Numbers (ICANN) regulates domain name registration and ownership. Whois records have proven to be extremely useful and have developed into an essential resource for maintaining the integrity of the domain name registration and website ownership process. A Whois record contains all of the contact information associated with the person, group, or company that registers a particular domain name. It also provides information about when was a particular domain registered or getting expired, and when was the last update made on that domain and sometimes this records may also provide the administrative and technical contact information. 2. Metagoofil is an information gathering or footprinting tools used for extracting information or data which is publicly available on internet belonging to company. INformation can be of any formats like pdf,xls,ppt,doc and much more. Basically metagoofil performs google search in obtaining different files it also uses different file type libraries like PDFMiner which have an index of different PDF files and others. It also provides very useful information like usernames which would in turn be helpful for brute force attack and other information like versions of different softwares and servers being used. 3. The Harvester is also used for information gathering where it helps you in extracting the email address and subdomains of a particular target, Harvester is an simple python script which searches information from giant search engines like Google, Yahoo, Bing and much more. 6. Blackwidow and HTTrack Website copier is used in better understanding of the website flow as it can be used in cloning the entire domain and could help in offline debugging and to perform tests on local. It can be used in the cases where the server responds only on a particular network. 7. One of the easiest and craziest way would be Social Engineering. It is an art of wangling people to reveal confidential information which is not supposed to be told out. It involves gaining the trust of an individual in order to obtain confidential information. Social Engineering is a non technical attack but involves tactics for making a victim get trapped. This is an art of gaining important information about an organization, its employees Department, Extension, Email, Role, Phone number etc. For more information you can have a look at my previous post What is Social Engineering which can give interesting insight on how anyone can be victimised. I could conclude as, Information Gathering or Footprinting or Reconnaissance is the initial step for penetration testing, more the information you gather more you would be successful in performing the penetration tests. If you are interested in learning further, I would suggest you to start using Kali-Linux or BackTrack! Do you think protecting a organization from bad guys is an easy task? not as easy as you/people think, indeed its a difficult task to handle. War between hackers and pentesters on securing and exploiting a website is on one such task which is ageing from past 10+ years, worst part is high level management with in an organization is unaware of risks involved in not prioritising security. Not just startups even some MNCs fail to take a baby step towards securing their organization because of some of the below security myths. 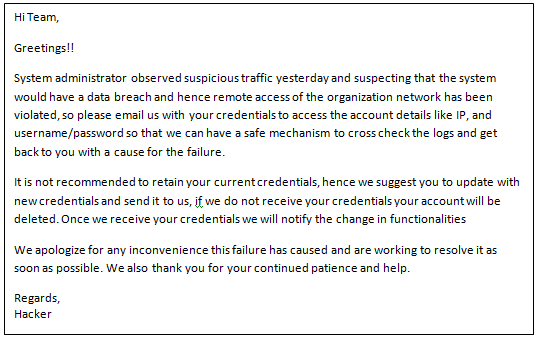 My developers are skilled, We never had any data breaches on our organization and we are safe! Hmmm. I decided to write this blog keeping aside my inhibitions, and I’m happy I am doing it, particularly, this one! Okay, I assume you would have heard of something called “Social Engineering”. If yes, are you aware that there is no patch for human stupidity with respect to Social engineering? According to me, this is true, as we see many companies/users getting victimized even after many past experiences. Human beings are weakest links! Social Engineering is an art of wangling people to reveal confidential information which is not supposed to be told out. It involves gaining the trust of an individual in order to obtain confidential information. Social Engineering is a non technical attack but involves tactics for making a victim get trapped. This is an art of gaining important information about an organization, its employees, systems etc. Here, the victim can be anybody; where which includes a high possibility of a hacker himself getting victimized at times! This would be possible when the hacker could be a part of a group of friends, and the entire group can be victimized at once, as it is completely based on trust where tricking them emotionally would not be very difficult. Sometimes, it so happens that in a continuous conversation, we do not even realize that we are revealing personal & confidential information, or end up revealing some hints, which will in turn make the job of a hacker easier, to hack into their extremely personal & confidential information. Some basic information which can be gathered very easily would include a person’s favorite color, actor, food, car, teacher, best friend etc. It might even include some of the information about childhood, school days or about his/her family. Such information would suffice to an extent in order to hack into any account, as the secret questions to recover the password for any application would mostly involve these. Let assume, you have become the victim. Now, do you mind answering any questions like your favorite teacher or your pet name or any such questions mentioned above? If you have a very close friend who would try for a social engineering attack does not have to ask you for any such questions, he would be aware of you and your likes and dislikes up to some extent. Generally if you ask for a piece of sensitive information, people naturally become suspicious immediately. If you pretend you already have the information and give out wrong information, they will frequently correct you unconsciously – thereby rewarding you with the correct piece of information you are looking for. Social engineering toolkit! No, we do not need a SET to victimize anyone! Real-time hackers do not completely depend on social engineering tool kit. In my opinion, I don’t think there is any well defined way or application which helps user to prevent social engineering. Different methods are being evolved hence having an eye on different attacks is recommended. Educating employees of an organization and performing random tests on them might be helpful to identify the mouse traps within the organization, it is recommended not to share their passwords even with their higher authorities or team leaders, let them have an administrator password if access required. Organizations have to take care of social engineering too, along with other security attacks as it holds more than 50% of share on different attacks. Frequency of social engineering when compared to other security Attacks. If you have any methods of preventing social engineering or any other social engineering cases you are aware of (attention-grabbing) please comment. Let others know your experience.